Transport and store your lights with the Multi-Purpose Three-Light Kit Bag from ikan. This nylon bag is padded on all sides to protect the equipment, and features adjustable padded dividers that can be configured to suit your needs. The bag can fit up three lights as well as their power supplies. It also features adjustable clips at the top for attaching up to three stands that collapse down to 22" or less. An exterior pocket is available for extra accessories. The dual zippers keep your equipment safe inside the bag, while the nylon strap is used for transportation. The bottom features rubber feet to avoid sliding. 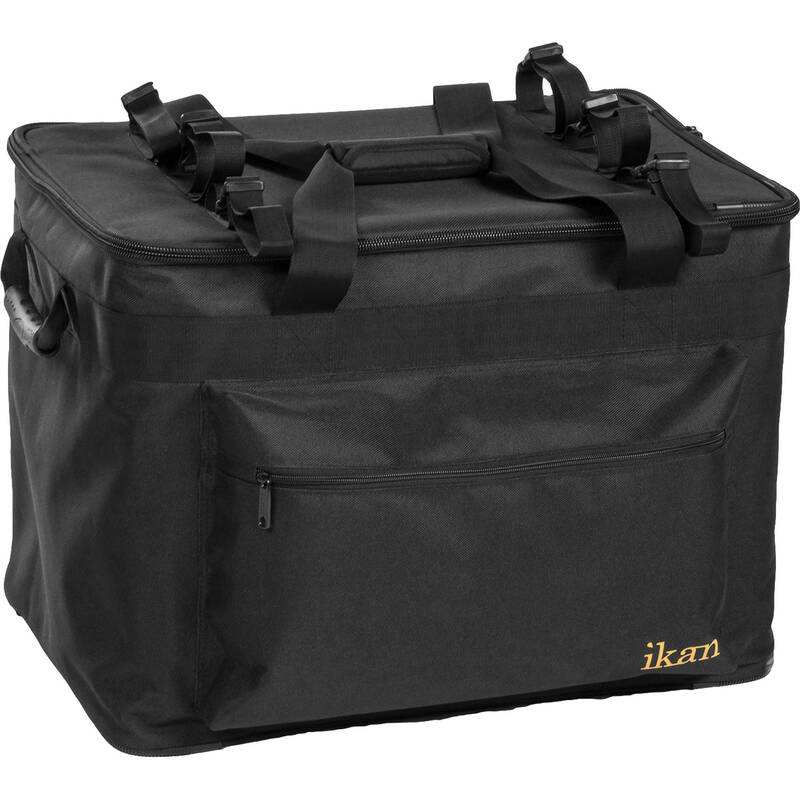 This bag is compatible with several ikan lighting kits. Box Dimensions (LxWxH) 22.0 x 17.0 x 16.0"